Maximise your lashes with Urban Decay Perversion Travel Size Mascara, a lengthening, volumising mascara enriched with triple-black pigments for intense results. 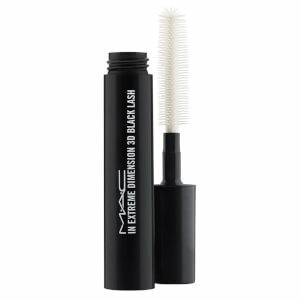 Equipped with a high-tech volumising brush that has a twisted trim for expert separation and definition, the mascara glides effortlessly through eyelashes, coating every hair with a nourishing, blacker-than-black formula that effectively lengthens, plumps and enhances the appearance of lashes. 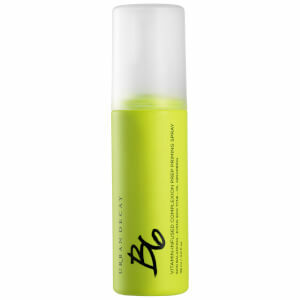 Ultra-creamy, the black mascara contains a host of beneficial ingredients to promote healthy, luscious-looking lashes. Hairdensyl, a complex blend of proteins and amino acids helps stimulate lash growth, Honey extract provides deep nourishment, and Sea Idrolized Elastine and Marine Collagen stimulate and protect. 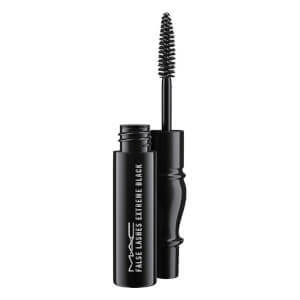 Maximising lash curved appeal, the mascara will never go brittle or clumpy, and is the perfect consistency; not too wet or too dry. Travel-sized for on-the-go convenience. Colocar la varita horizontalmente y mover el cepillo de lado a lado desde la base de las pestañas hasta las puntas. Repetir la operación hasta conseguir el resultado deseado. Para las pestañas inferiores, sujetar el cepillo de forma vertical. Aqua (Water/Eau), Synthetic Beeswax, Acacia Senegal Gum, Stearic Acid, Palmitic Acid, Copernicia Cerifera (Carnauba) Wax (Cera Carnauba/Cire de Carnuba), Butylene Glycol, Glyceryl Stearate, Polybutene, VP/Eicosene Copolymer, Aminomethyl Propanol, Pentylene Glycol, Phenoxyethanol, Caprylyl Glycol, Sodium Dehydroacetate, Potassium Sorbate, Hydroxyethylcellulose, Soluble Collagen, Myristic Acid, Arachidic Acid, Behenic Acid, Glycerin, Propylene Glycol, Oleic Acid, Mel (Honey/Miel) Extract, Sodium PCA,, Hydrolyzed Elastin, Glycogen, Serine., [+/- (May Contain): CI 77499 (Iron Oxides)].